In brief: There’s no denying that eSports is a big business. This year, the industry is expected to see another jump in growth that will take overall revenues close to one billion dollars. As such, competitors take their training extremely seriously, which is why Nvidia has opened two new international eSports boot camps. 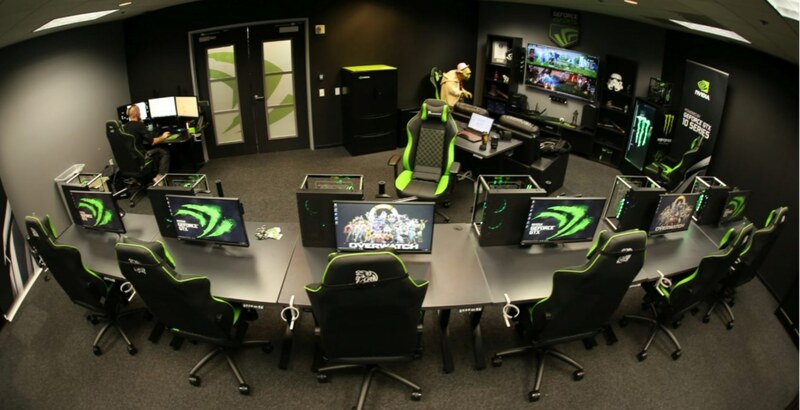 Back in 2015, Nvidia opened its GeForce eSports studio in Silicon Valley, letting those who are part of the scene prepare for tournaments on the same pro gaming systems used in competitions. It’s already hosted teams such as Tempo Storm, Team Secret compLexity Gaming, INTZ and Team USA. Now, the company is opening two more of these boot camps, in Munich and Shanghai. The camps give players access to 240Hz G-Sync monitors, three meals per day, and “a dedicated environment for eSport athletes to train in.” With many eSports tournaments taking place across the world and with teams made up of international players, competitors are far from home and their loved ones for much of the year. Nvidia hopes its camps will help them concentrate on honing their game skills and team strategies as they prepare for battle. “We want to make our visiting teams’ tournament preparation as fruitful as possible as they prep for tournaments like Valve’s The International, Perfect World, ESL, Starladder, PGL and League of Legends World Championships,” writes Nvidia. Despite already being a massive industry, eSports continues to grow. This year has seen Ohio’s Ashland University announce it is offering up to $4000 eSports scholarships to students with a high “player skill level” and the appropriate academic requirements. Additionally, Epic Games recently said it would offer $100 million in prize pool funding for Fortnite’s "2018 - 2019" competitive season.